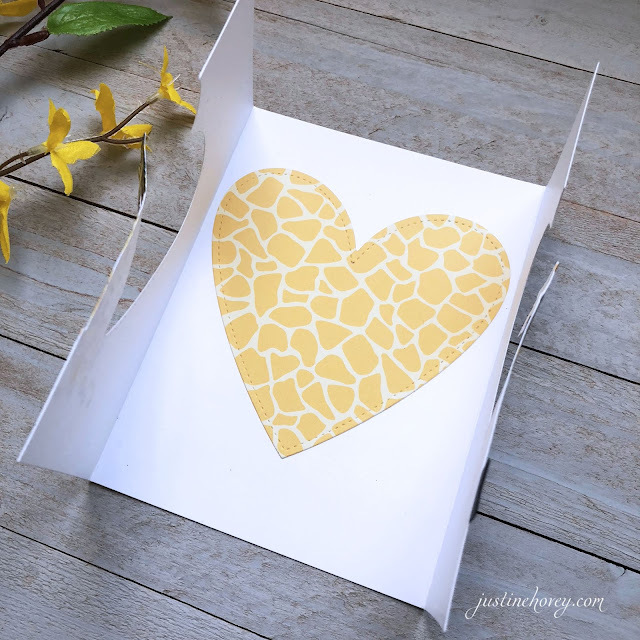 Justine's Cardmaking: Art Impressions Twist Tie Stamps! Art Impressions Twist Tie Stamps! At Creativation in January, I had the opportunity to play around with some Twist Tie Stamps from Art Impressions. 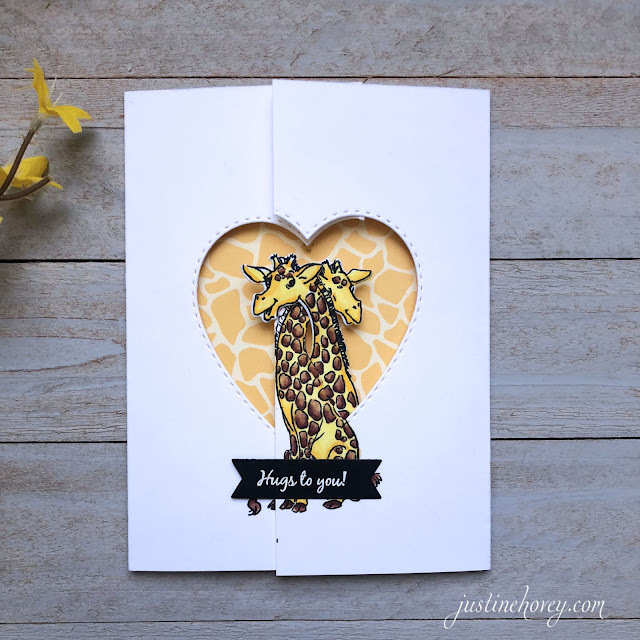 I couldn't wait to get my hands on the giraffe stamp since they are just too cute! This interactive card is super easy to put together - two score lines, some stamping and die cutting and everything you need comes with the stamp - stamp and die in one package! 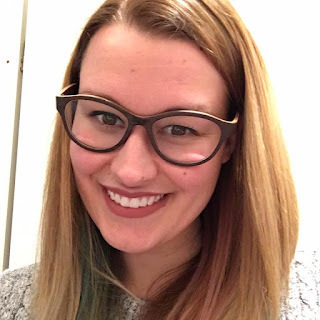 Their necks intertwine to form a gatefold card that is super fun and unique. I think kids and adults would love these types of cards! It only took me about ten minutes to put together which makes it quite simple in my opinion. Background paper or a stamped image are perfect for the inside. 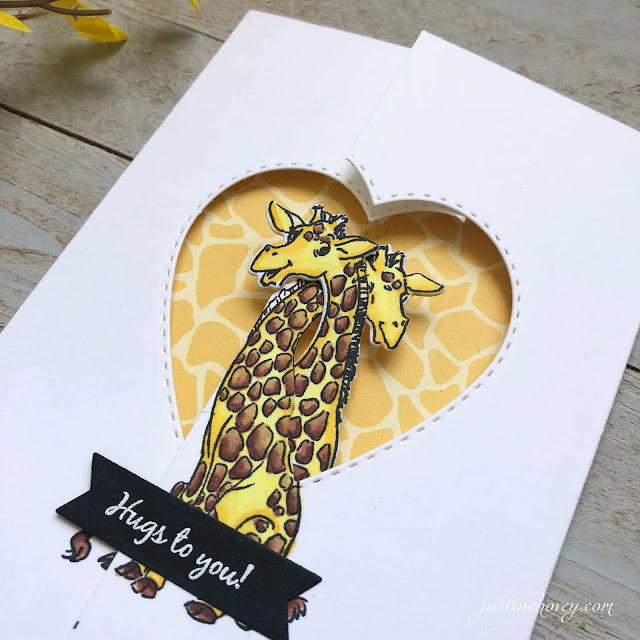 Unfortunately, as stated in the video, this paper is retired, however, I found additional paper and a giraffe background stamp in case you need something similar!